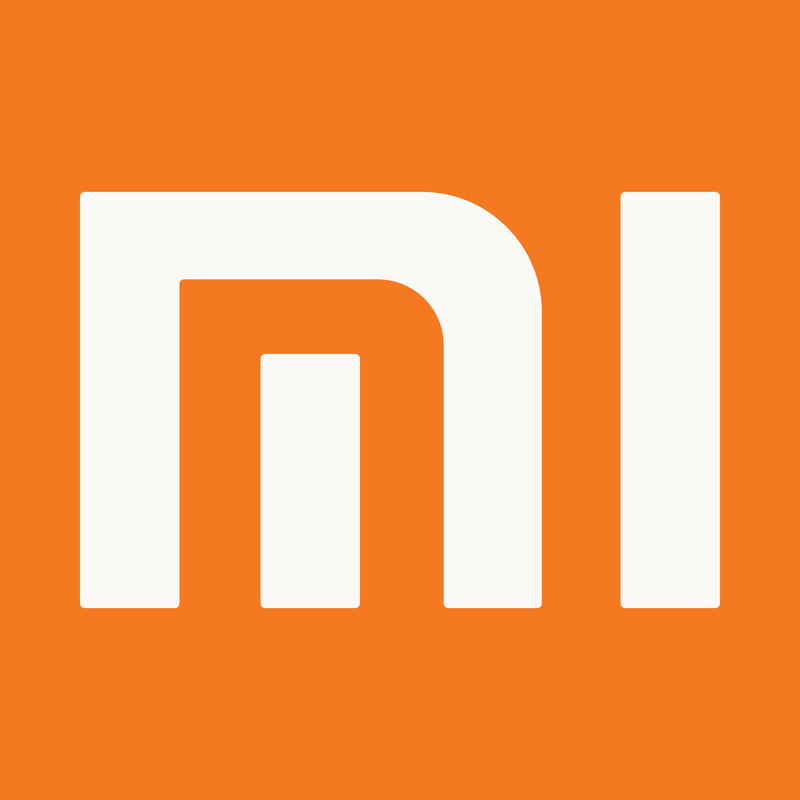 15th January 2015 was marked in every Mi Fan’s calendar, because in this day, Xiaomi was scheduled to release their first flagship device of 2015. Xiaomi debuted the Redmi 2 a few days back, targeted for budget users, who don’t want monstrous performance, rather a sufficient device to accomplish regular smartphone tasks. But today was the day for the fans. Just like Apple WWDC, on Mi launch events, guest, fans, developers and employees alike from China and even around the globe, gather at Mi HQ to be marveled by whatever the mad engineers have cooked up. Xiaomi is unlike any other brand. They make their money selling themes and apps. For them, profit on devices is an afterthought. Therefore the devices are dirty cheap, when compared to brands like LG, Samsung or HTC, but does not lack the quality. The way they do so is by having no marketing budget. Their simple theory is – give the consumers, a good device, at irresistible deal, and they will keep coming back for more. Xiaomi saves cost in everywhere possible. Their packaging is one of the cheapest, they don’t provide any headphones, and you won’t find a Xiaomi billboard anywhere in China. In India and many countries, Xiaomi devices are only sold online, to save costs further, ultimately leading to inexpensive premium quality devices. The strategy has helped them to become the 4th largest Smartphone distributors in the world, although operating officially in only a few countries, having almost 400% growth in the year 2014 alone. Being an avid Xiaomi user and fan myself, I have converted a few of my own friends to convert to Xiaomi, and it’s a fact, no one has yet started to hate their device. The event started with Xiaomi showing off their previous achievements and innovations, which include features like iHealth and Mi Air Purifier. You may wonder, a phone company making an air purifier? Xiaomi believes in an eco-system of smart devices. The air purifier can be controlled from a Mi Phone. They sublimely revealed to audience we will be seeing more of non-phone devices from Xiaomi in the future. Lei Jun, the CEO of Xiaomi, did not want to stale the suspense and quickly got on to the point, revealing the first flagship of the year, the Xiaomi Mi Note. Let’s not confuse the Redmi Note and Mi Note series. The Redmi Note line up are medium end budget devices. Whereas, the Mi line up is exclusive to flagships. Therefore the Mi Note is packing a Snapdragon 805 CPU which has the Krait 450 quad cores that operate at 2.7GHz and Adreno 420 GPU. Coupled with 3 GB of RAM, this was definitely flagship territory since the One Plus One and 2014’s flagship Xiaomi Mi 4 has similar specification. What differs is the now the Note has a 5.7 JDI Display at 1080p. The display is 2.5D that allows very slim bezel. The design has been inspired from Mi 4, which is quite elegant therefore nothing to compare about. For the selfie addicts there is a 4 Mega Pixel, ultra pixel front camera, a technology borrowed from the HTC One. The back camera is 13 Mega Pixel, which is a Sony IMX 214 sensor, already popular for its superb quality. Right beside the camera are dual tone LED flash. The battery is 3000mAh and is said to be designed from technology from LG and Samsung. Xiaomi is not ashamed to admit they borrow technology from other brands. They openly compare their devices to the iPhone. Simply their ideology is that they make devices inspired from all the best of the best out there. Thus they make the perfect phone. However, I was disheartened. The Xiaomi Mi Note is top notch no doubt. Good Camera, Good Display, Powerful Specification and even Dual SIM support. But this is not like of Xiaomi, they like to blow away the audience’s mind, and the Mi Note is great but not grand. Lei continued on with the presentation, showing of other gadgets like their 32 ohm headphones and Mi Box mini, a tiny Android smartphone device that you can hook up to your TV. 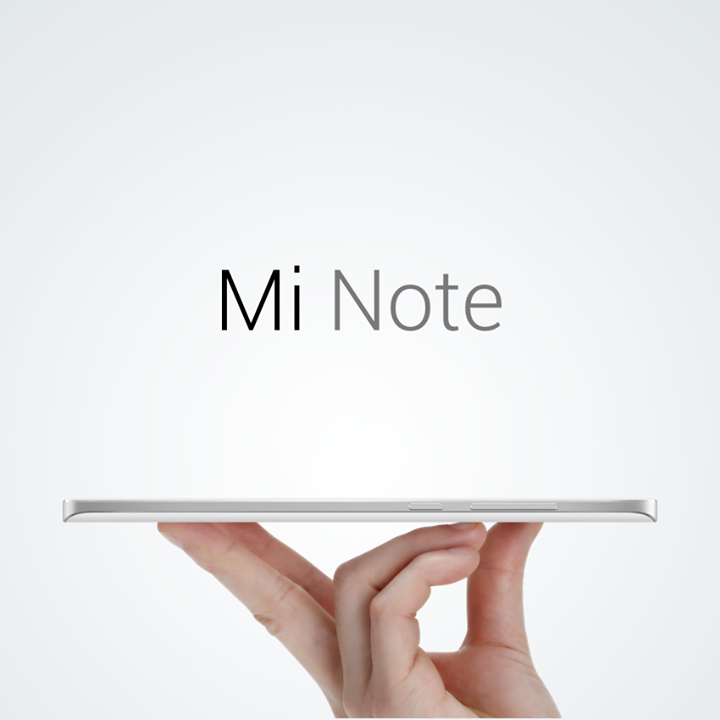 Xiaomi Mi Note was not the only phone that was launched. It was the Mi Note Pro. The spec sheet would make any reader, or listener, say wow, at least in their minds. Snapdragon 810 64bit Octa Core CPU with four Cortex A57 cores at 2.0GHz and four Cortex A53 cores clocked at 1.5GHz, 4 GB, yes 4 Gigabytes of RAM, 64 GB built in Flash Memory and Adreno 430 GPU. Finally a brand which gets 64 bit SoC right. All this performance is responsible to render media for a superb 2K display of 2560×1440 (515 ppi). As of today this is the Best Smartphone in the world. Even though Asus has planned a 4 GB RAM phone too, you cannot buy one yet. 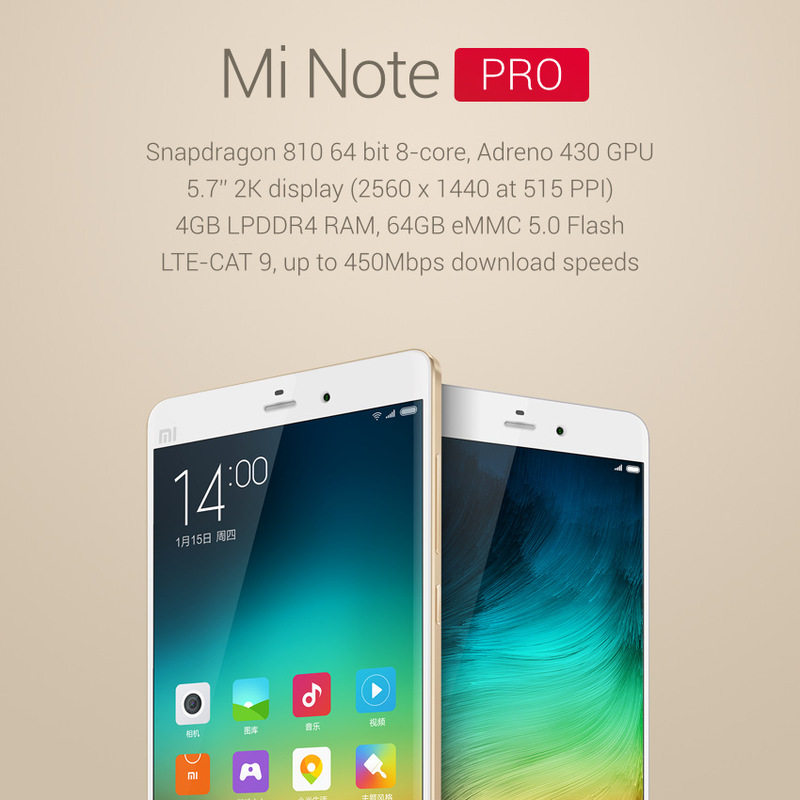 However, Xiaomi Mi Note Pro is the best smartphone you can buy as of right now. Xiaomi marketing strategy is making headlines to promote their products instead of putting an ad. Today they pulled it off again by providing consumers some beastly devices. Both are really good options for you if your smartphone has started to show its age. However, it’s not necessary to upgrade if you are already using a flagship devices such as the Galaxy Note 3, S5, HTC One, LG G3 or Xiaomi’s own Mi3 and Mi4. More importantly, not every would prefer a large phone of 5.7 inch display. That’s why phone like the Galaxy Alpha exist, which has top notch performance and premium price at a smaller display size of 4.7 inch. The Mi Note is priced at CNY 2299 for the 16GB model and CNY 2799 for the 64GB model. On the other hand, the mighty Note Pro will cost you CNY 3,300 at China. So in our terms that Tk. 30000, Tk. 37000 and Tk. 43000 respectively excluding shipping, tax and other costs. A tech enthusiast who is curious about anything that has a circuit in it. But my main passion lies in handheld gadgets such as Smartphones, Tablet PCs and Portable Gaming.